We're starting out the new school year with some fun and adorable tot activities. Sunshine LOVES dogs, cats, and babies. Other than LEGO duplos, they are the only things she plays with. She was absolutely thrilled, (and a bit impatient) as I prepared activities for our shelves this week. I must say I'm beyond thrilled with how the unit came together. The printables are beautiful. Sunshine still isn't showing much interest in letters, but I know with a dog on the page, she'll at least pay attention to it. We're learning about the colors black, white, and brown this week. I've provided a black crayon for her to color the D, but honestly you could do any number of things with the printable. 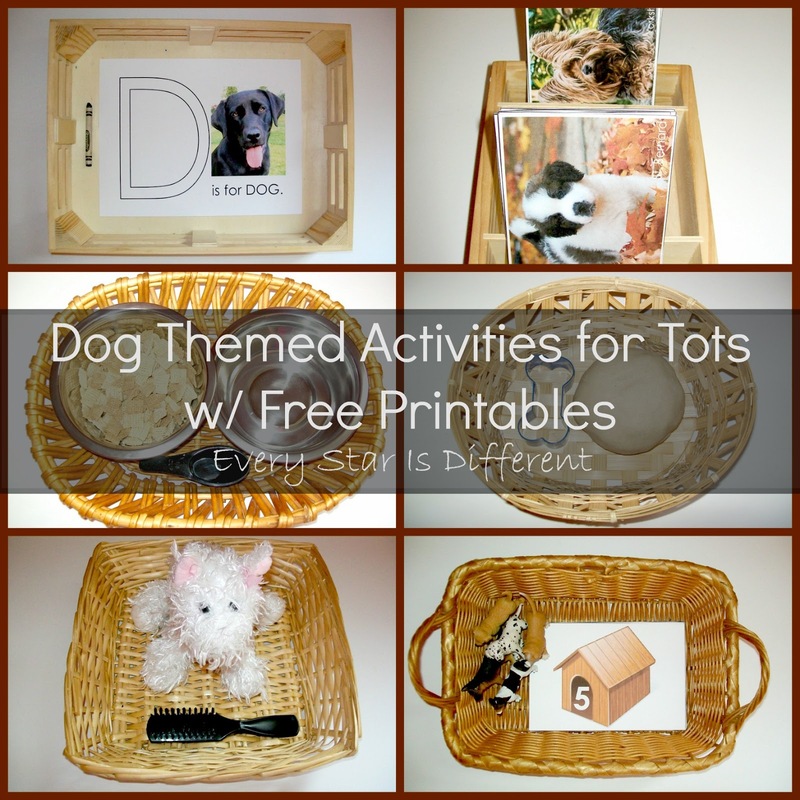 Source: I created the printable for this activity as part of my Dog Themed Activities for Tots Printable Pack 1. For your free copy, click on the link located at the bottom of this post. This is by far my favorite activity on the shelves this week. I'm so excited with how it turned out. Sunshine will match up a parent dog to their puppy. I will definitely be laminating this one, as she'll be carrying the cards everywhere. Dog food is so fascinating to kiddos for some reason. 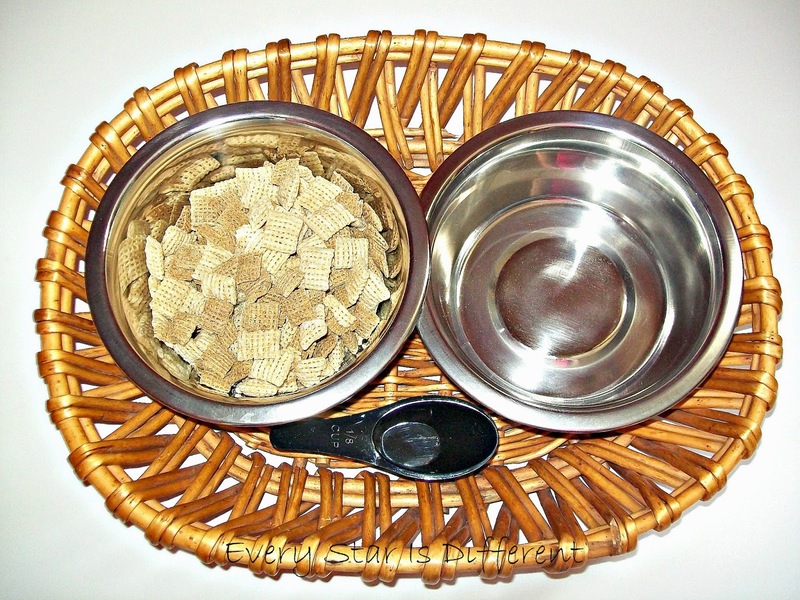 In this activity Sunshine will transfer "dog food" from one dog dish to another. I did think about using real dog food for transferring, however I could not find a single brand or variation that Sunshine wasn't allergic to. FYI: For those who struggle with food allergies, dog food, and even licks from a dog can cause a reaction. Instead I used a combination of edible dried cereals. 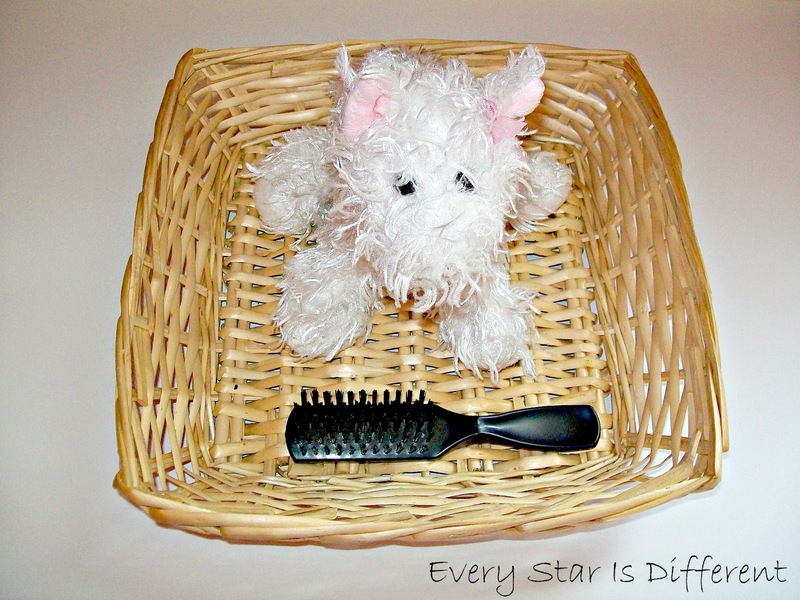 Part of taking care of a dog includes brushing it's hair. Sunshine will practice this skill on one of her stuffed animals puppies. I had wanted to find a dog that one could get wet, so she could practice bathing a dog too, but had no luck. 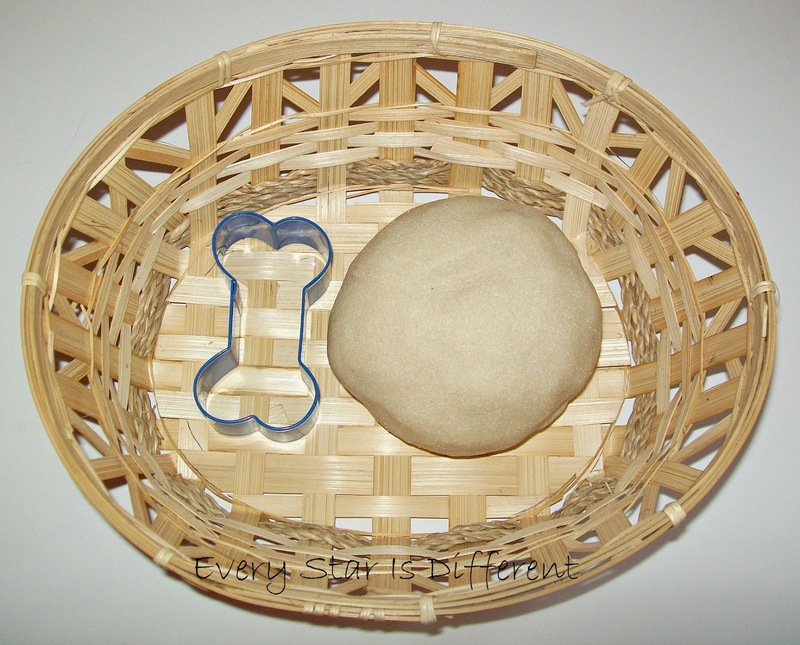 I had so many ideas that included the use of dog bones, until I realized that Sunshine was allergic to every single kind, except plastic ones, which were quite expensive. Thankfully, the craft store had a cute dog bone cookie cutter she can practice using with play dough. I've made the play dough extremely soft so she can practice using her muscles to flatten it and then press the cookie cutter in to form the bones. Hopefully it will go over well. 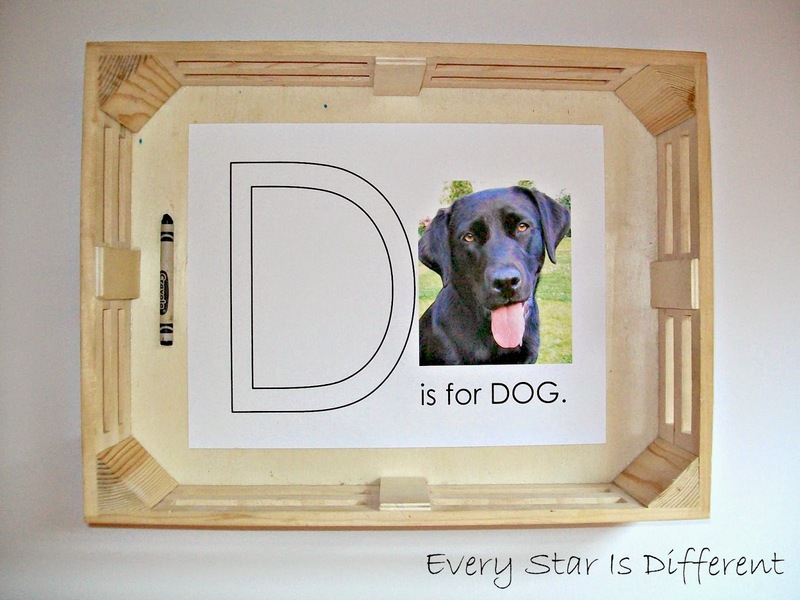 And if a dog themed to unit wasn't enough in this post, it's time for the Kids Learning Printables Linky Party with my co-host Montessori Nature. 1. Free LEGO Printables and 70+ LEGO Learning Activities from Living Montessori Now. 2. Princess Printable Pack from Gift of Curiosity. 3. 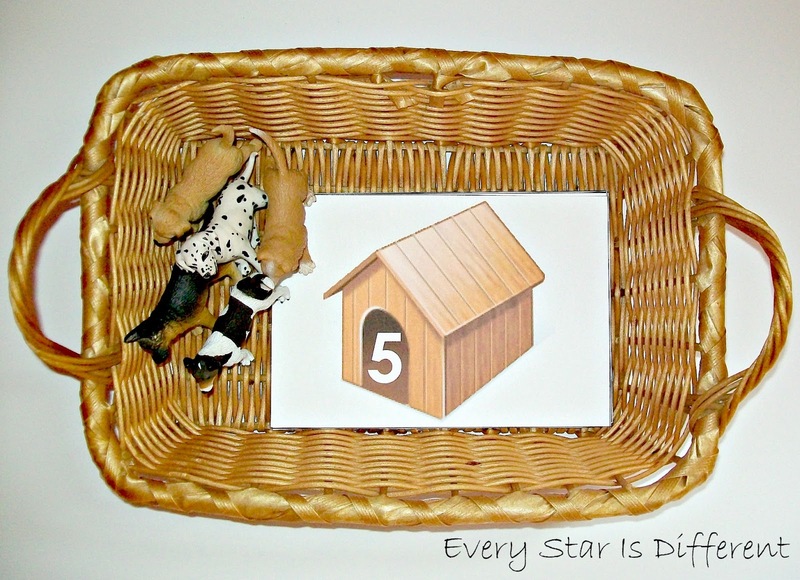 Montessori Inspired Pea Counting Printables from Welcome to Mommyhood. 1. 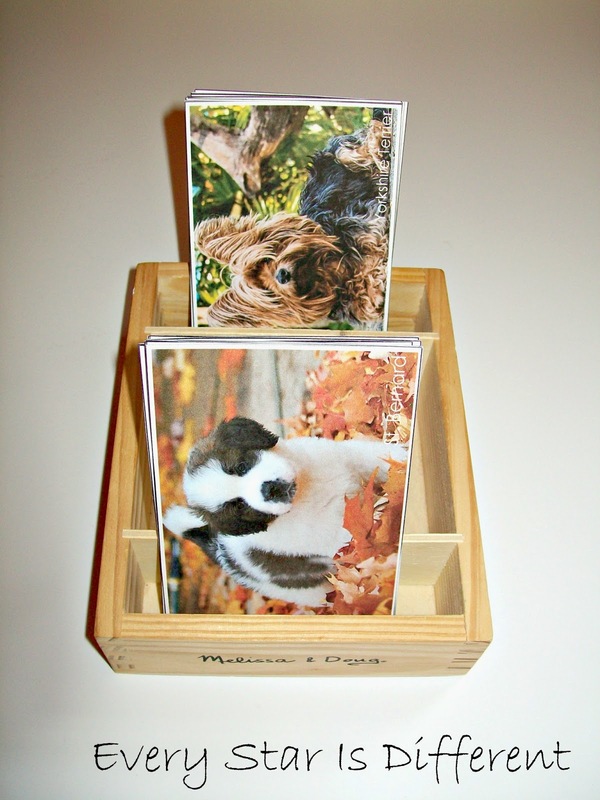 Link up to 3 educational printables for kiddos. Free, paid, and giveaway printables are welcome. 2. 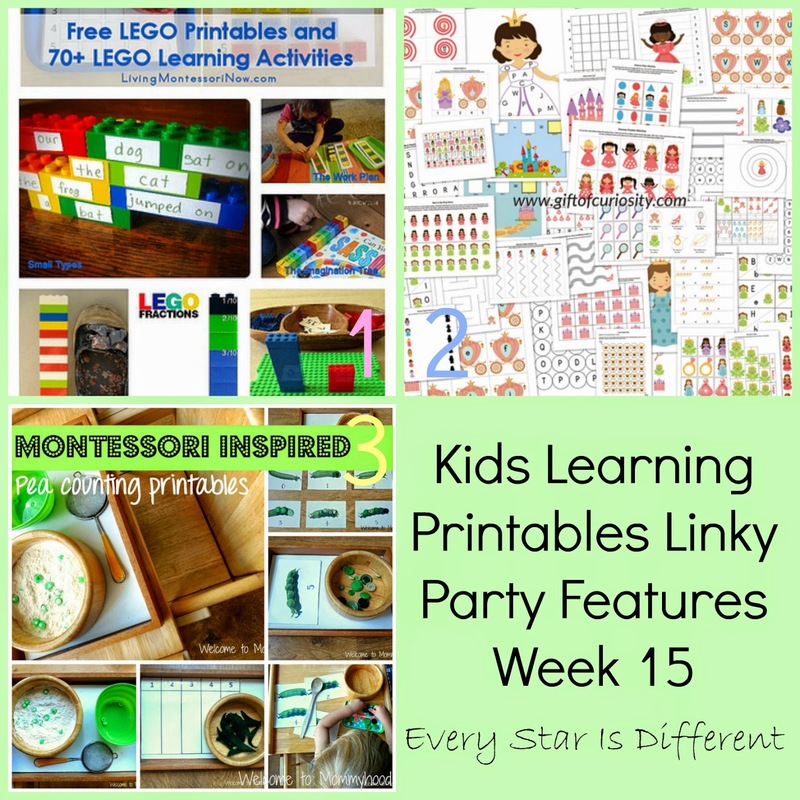 Add our Kids Learning Printables Linky Party Button to your post or blog. 3. Support your fellow educators by commenting, pinning, and/or sharing the post published before yours. 4. If you're not already doing so, follow me on Facebook, Pinterest, Twitter, and/or through my blog. 5. You give me permission to use and repost images from your blog. 2. Share and pin as many links as possible throughout the week. 2. Feature my favorite posts in next week's link up. 3. Get to know you, your blog, and your printables for future use. Love the idea to match Mother and Baby dogs! I'll keep this one in mind for when my daughter is older. Thanks for sharing! Cute post with a lot of fun doggy activities! My Little Bee loves to feed our dog and gets really upset if we "forget" to let him help carry the dog food from the storage bin to the dog dish! LOL! Thank you so much for sharing your story about Little Bee. I'm glad you like the activities and hope you can use them! You come up with the greatest ideas :) You're such an inspiration! My son isobsessed with sheep at the moment, and I love that dog counting work you set up. I think I'll try something like that with sheep soon. Thank you so much for including my pea printables!